Over this past weekend, Nashua resident Randy Pierce became one of the few- and the only blind person on record- to hike all 48 of New Hampshire’s four-thousand foot mountain peaks in one winter. 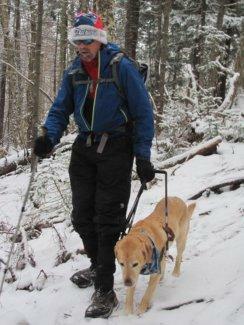 It’s a feat few dare take on, but Randy and his guide dog Quinn like a challenge. Randy has begun a non- profit called 2020 Vision Quest, seeking to inspire people to reach beyond adversity and achieve their goals.